Welcome to Les Arches de Muschamp ! 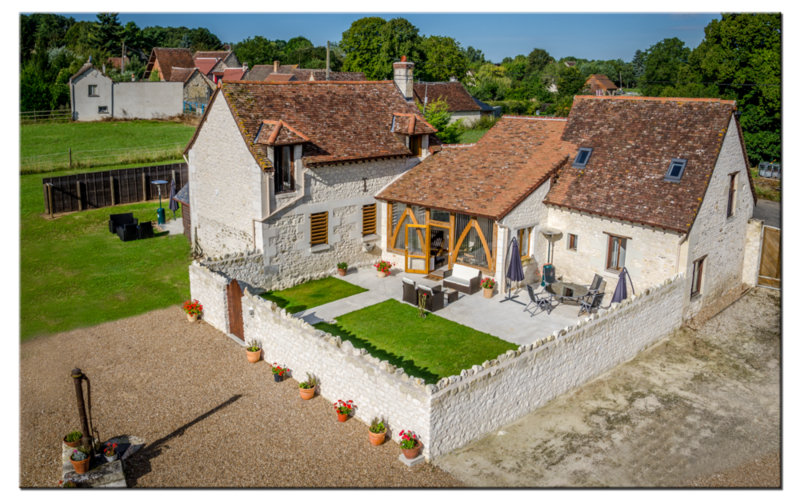 If you are travelling in France and wish to stay close to the famous Loire Valley Châteaux our property could certainly be in the right location for you! Rainbow Arch is beautifully restored and finished to a very high standard. Superb lighting, large modern kitchen/living area and underfloor heating for cooler periods are some of the many features of this delightful house, which still retains its attractive white stone and wooden timbers. Attention to detail was a priority in its design, and Rainbow Arch also incorporates facilities for people with reduced mobility. Angel's Arch is a restored stone built former farm cottage. Equipped and furnished to a high standard. This house gives you a warm, comfortable spacious feeling. The large modern open plan kitchen/dining area is well designed and the attention to detail is evident throughout the property. All bed linen and towels are provided at no extra cost. “ L'Arc de Charme” is a fabulous apartment completely renovated, set on the upper floor of a charming stone building with its own private entrance from 'le cours de la ferme'. Calm, comfortable and spacious with beautiful views of the rolling countryside. One double bedroom in contemporary style, fitted with a standard double bed, and an extra single bed, if required, can be situated in the living area, TV and comfortable lighting. Fully equipped modern kitchen combined with a spacious living area with all modern amenities. Dishwasher and washing machine in situ. We have recently added further accommodation to our available properties in the form of a spacious apartment on the ground floor opening up onto ‘le cours de ferme’. The modern unit comprising two double bedrooms - (one of which can also combine as a living area), a bathroom and a small kitchen comprising, microwave (& microwave oven), fridge and worktop area. Two charming houses which are side by side, thus allowing the possibility to use them as one large property, but still retaining two kitchens and living areas. There is an interior door between the two buildings that can be opened for this purpose making an extremely adaptable property, well renovated in a beautiful tranquil location. Ideal for visiting the famous chateaux of the Loire Valley.